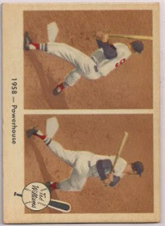 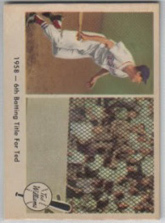 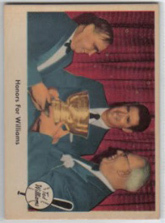 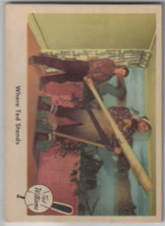 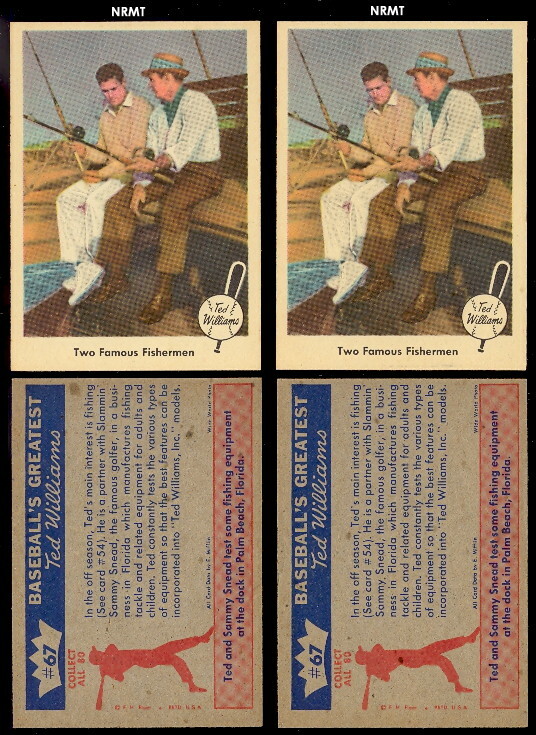 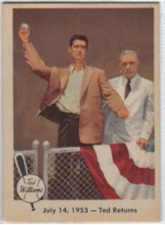 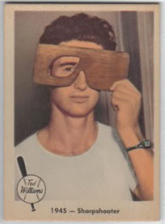 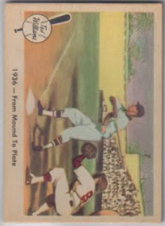 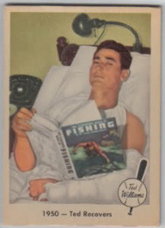 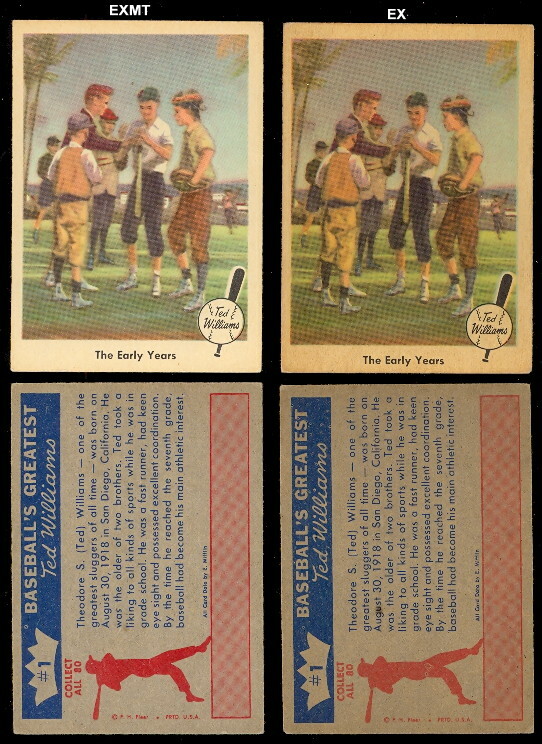 The 1959 Fleer Ted Williams set. 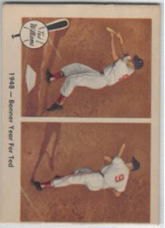 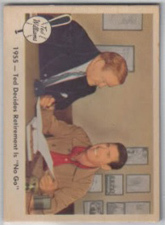 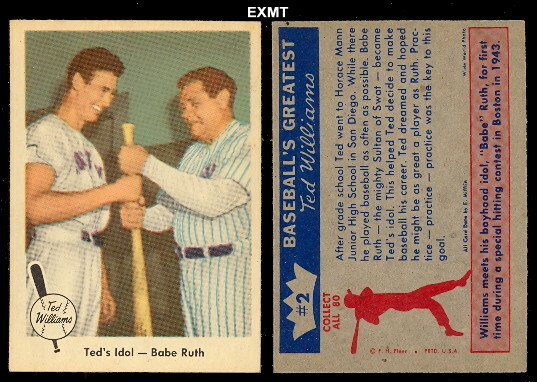 In 1959 Fleer signed Ted Williams away from Topps, and made this great set. 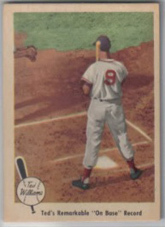 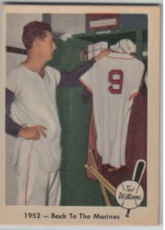 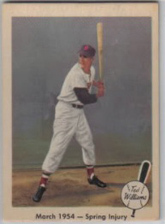 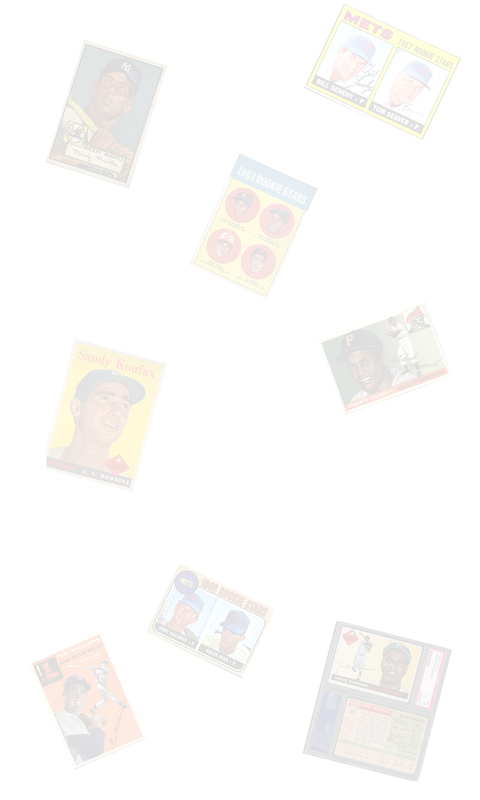 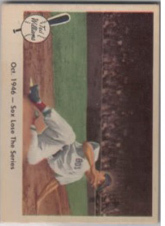 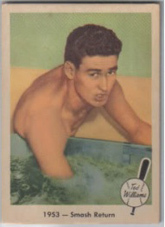 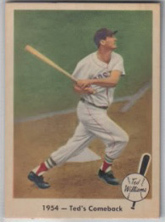 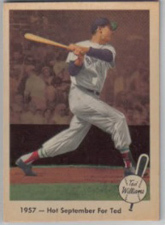 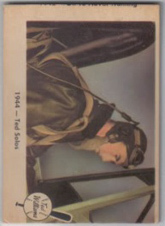 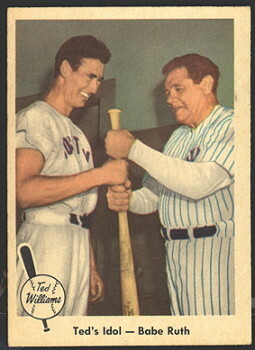 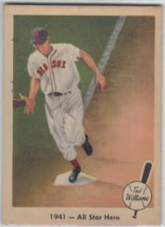 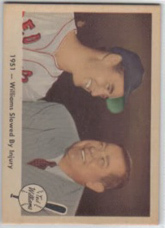 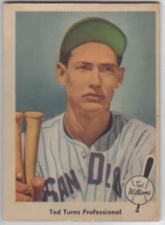 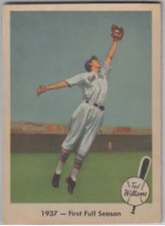 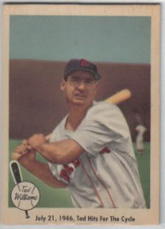 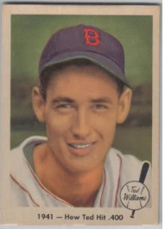 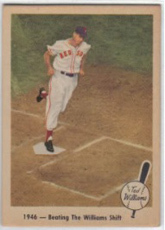 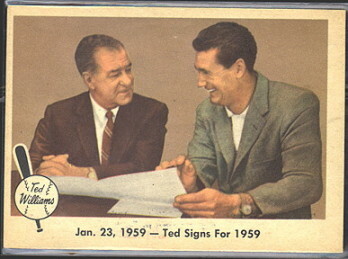 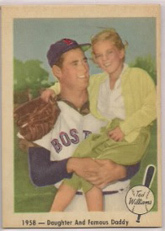 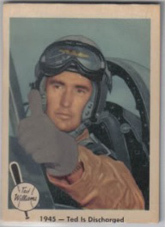 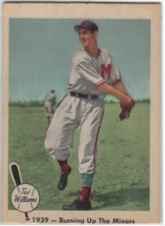 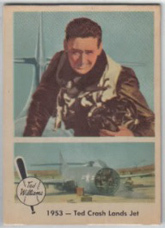 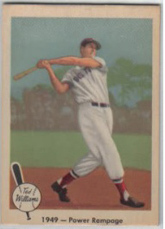 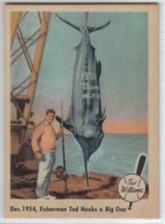 Here you can get cards of Ted Williams, truly one of the greatest all time players, from the 50s, for less then $20 ea. 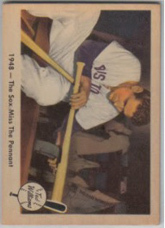 There is a very rare card in this set, it is #68. 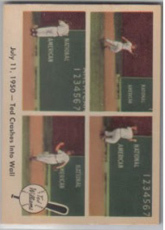 What happened here is that Fleer put out the card, but Bucky Harris was under contract with Topps. 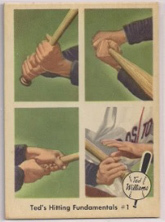 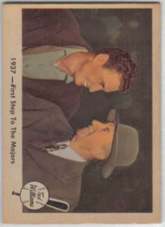 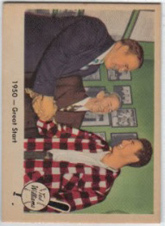 Hence, Fleer had to halt production of this card. 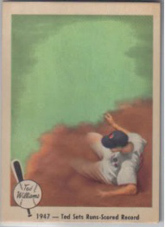 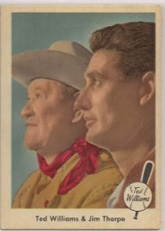 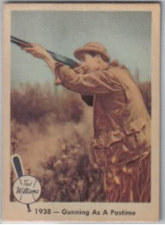 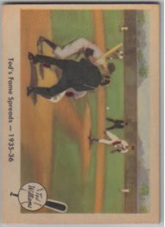 A few were released, so in order for collectors to have a complete set, they had to request this card from Fleer.